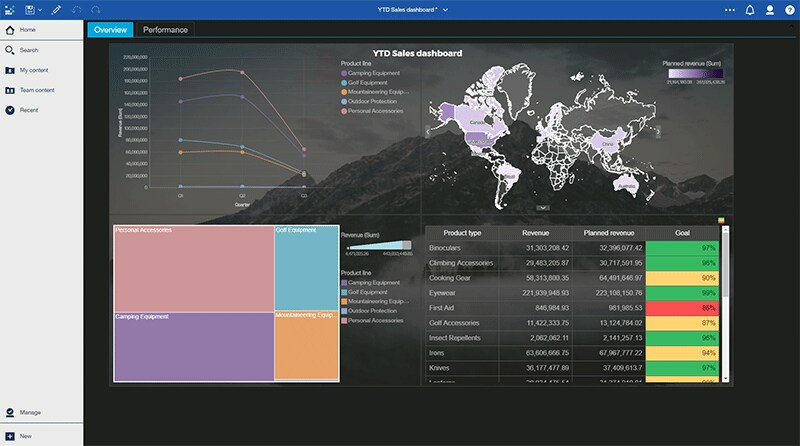 Understand what is happening with your business like never before with business intelligence that’s powered by augmented intelligence. Generate expertly authored reports, launch your analysis from system-generated starting points, ask questions of your data, predict outcomes, visualize results and share the information through dashboards or stories. Expand your personal and organizational expertise with the guidance of smarter analytics from IBM. You love that your information arrives on your desktop fully interactive. Customize it to meet your needs and save and subscribe to your personal view. Dive deeper and you’re on your way to becoming a data explorer. You want independence to work with corporate and other data. Answer questions and identify patterns and drivers. Eliminate human bias with system-generated discoveries. Capture your findings to easily share or prototype models and reports to hand over to power users. Access and prepare all types of data and reports for your organization. Manage your content and users with a custom look and feel. With scheduled distribution, it’s easy to share at scale with information consumers. Drive smarter decisions throughout your organization with an all-in-one platform for all of your self-service needs. Empower people with an AI Assistant plus embedded smarts to help prepare data and to help surface hidden insights within a governed framework. Planning, budgeting, forecasting and multidimensional analysis powered by IBM TM1®. IBM SPSS® Modeler is the graphical data science and predictive analytics platform for users with all skill levels to develop and deploy analytics at scale to improve business outcomes. IBM Watson® Studio accelerates the machine learning and deep learning workflows required to infuse AI into your business to drive innovation. It provides tools for data scientists, application developers and subject matter experts to collaboratively and easily work with data and use that data to build and train models at scale. This content analytics and cognitive search platform is powered by machine learning. Get access to actionable insights from all your data to help achieve better business outcomes. Good information is the foundation for good decisions. You can’t accurately answer “what’s happening” in your business without first asking: “Is the data correct?” See how we’re here to help. Read this report from Aberdeen Research to learn how you can keep ahead of the competition. Learn about the key business-intelligence components and capabilities that best-in-class companies use to stay competitive. See why IBM has been named a market leader in the recent BARC Score Business Intelligence report. Explore trending business intelligence topics from industry analysts and subject matter experts. WestJet Airlines Ltd., a Canadian airline, uses new dashboard, mapping and data visualization features in IBM Cognos Analytics to ensure customers enjoy their flight. Leaders at the University of Florida knew that data about student behavior could hold valuable information about student retention and used IBM Cognos Analytics to turn data into actionable insight for faculty and administrators. 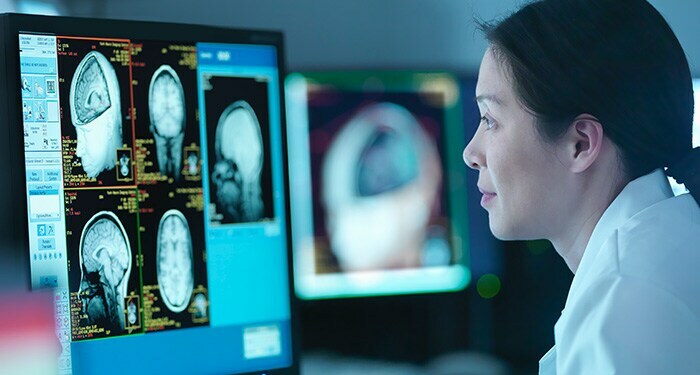 A major US insurer upgraded its analytics environment with IBM Cognos Analytics — unlocking new self-service capabilities that help business users find answers for themselves. Engage thought leaders, distinguished engineers and data-science experts who have worked with thousands of clients to build winning data, analytics and AI strategies.